What weather app are you using? 1 Weather. But I don't use the widget. 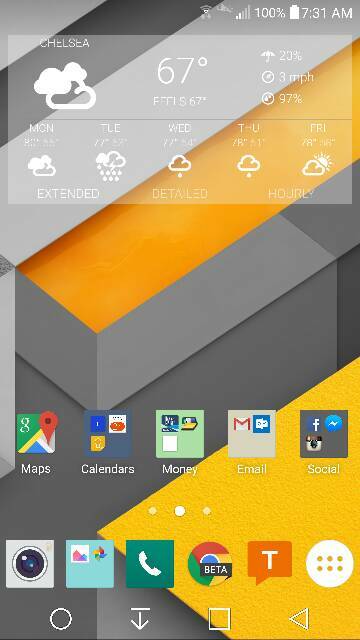 I use Dashclock, and use 1 weather's input. 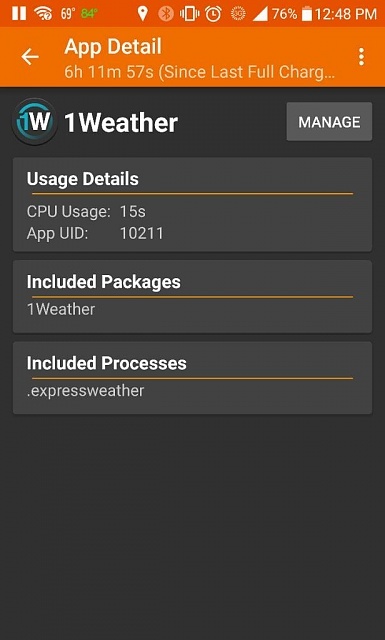 I use 1 weather. I do use the widget. 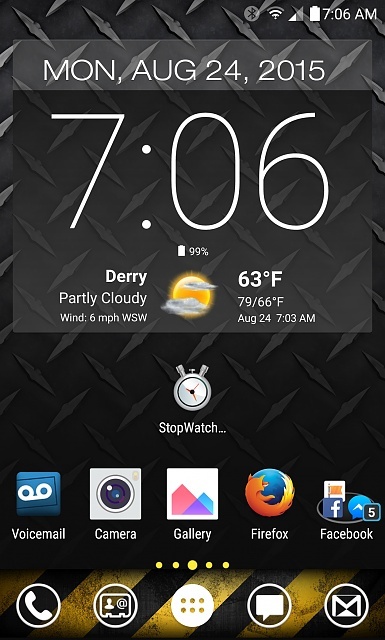 Can set the background on the widget. Of all the weather apps I tried, this one is the best. I use the Weather XL. Pretty good with a lot of features. 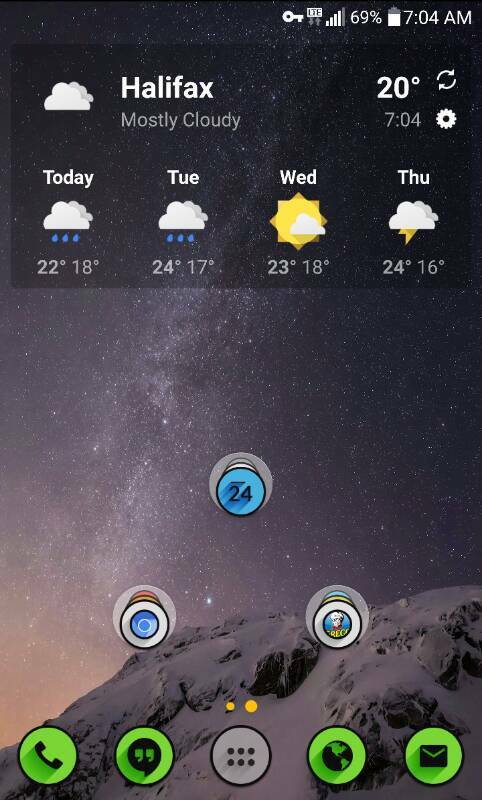 1Weather widget. They have different sizes. 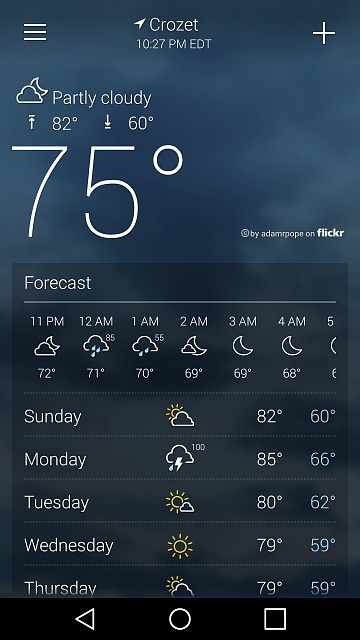 Then you would tap on widget it opens up app and get a lot of info on typical weather. 1Weather. 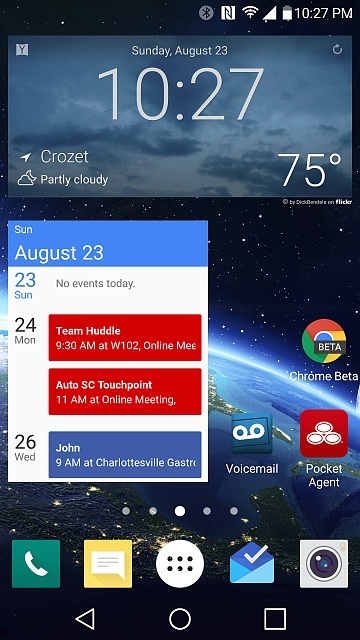 You can also resize their widget, or at least the one shown in post #6. I stretched it to fill the width of the screen, but kept the same height. I'll have to look into Dashclock, I don't know what that is. And here's what the app itself looks like. It's nice that they use Flicker photos from your location as the background, if available. I do wish they had animated radar, but I'll probably keep another weather app to give me that. I use "Weather Underground" app (wunderground.com). I do not use their widget. I used to be a huge WeatherBug fan...until their last major UI update. Now the phone app does not rotate into landscape. Pluss they now have a LOT of wasted space on their main screen. 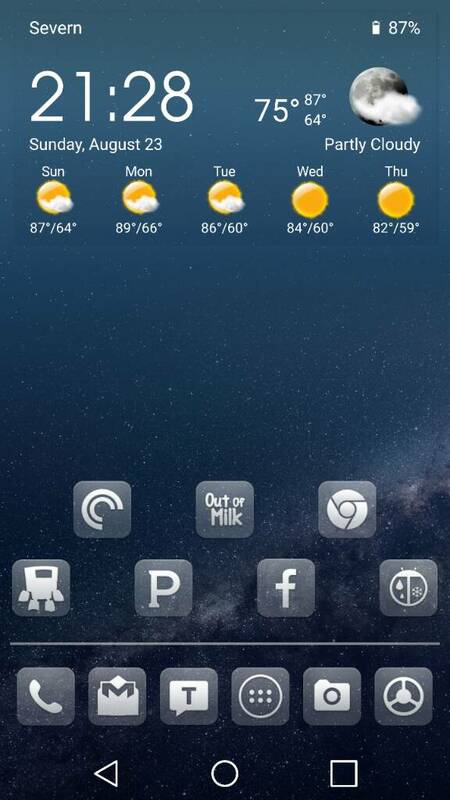 - Currently using Chronus weather widget on home screen, which can show weather from a couple different sources (currently pulling from Yahoo). 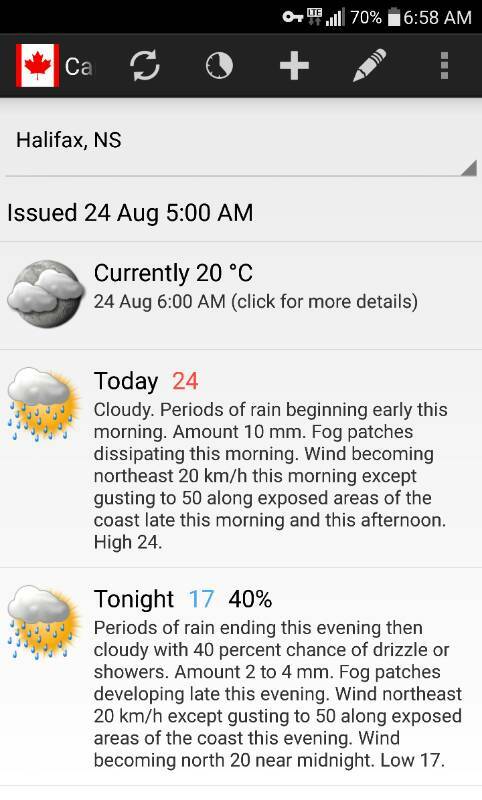 - You can link Chronus weather widget to a different app to open when tapped, which I have linked to 'Canada Weather' app which shows data from environment Canada (its own widget is too basic). I downloaded 1Weather, so far I like it definitely a step up from the stock one. I like finally being able to adjust the transparency of the widget so it isn't blocking half my wallpaper. I do wish there was a larger clock on the widget though. The tiny notification bar one can be a struggle early in the morning haha. I use and like 1Weather very much; it's the most accurate of all the weather apps I have tried. But I use the widget from Transparent Clock & Weather. I use Beautiful Widgets. I like it because you can set other apps to launch by touching various spots on the widget. I've got mine set to launch my alarm clock app if I touch the time, WeatherBug Elite if I touch the picture of the weather and my radar app if I touch the temperature of the weather. I use BW for years, and in addition Google News & Weather. It has the best layout of any weather app I've seen. Timeline and tabs for temp, precipitation, wind, and humidity. 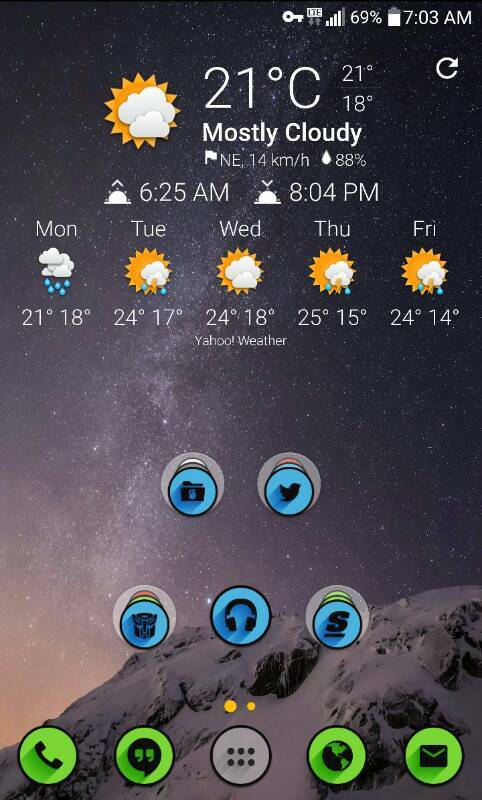 Another 1 Weather widget user here... Former Beautiful Widgets user but I like this more. Can I just pipe in and say to all those that are unhappy with battery life on their g4... widgets like these are a battery killer. 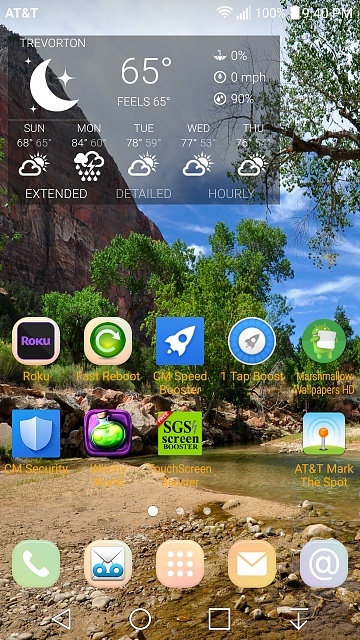 Have always used 1Weather and widget and do not have a problem at all with battery life. BUT, Mine does not update for 3 hours, unless I manually do it. My battery life is great. Yes, it depends on the frequency of the synchs. Just for grins and giggles I just set mine to every 15 minutes (the highest you can go). I'll report back tomorrow at the end if the day to see what the usage is. I pointed out the battery thing because there are lots of people irate and/or careful about battery, and quite often people have a whole bunch of widgets... not just one. If you are aware of synch frequencies, it shouldn't be a problem. When you have 4 or 5 widgets (news... quite often multiple news widgets, email, weather) and they're synching and looking for location... one way to improve battery is to nuke those suckers. Mikey47 and Kr0m like this. What are these marks on the rear upper glass? How do you get a Samsung Galaxy S6 out of ODIN Mode? What is the stock text app on android phones called? I have GalaxyS4 I want to use again but I forgot the pin to get into the cell phone. What's the newest Verizon Note 2 baseband?